It is not often you will find me laying double digits in the NBA, especially not on the road, BUT tonight is going to be a B-L-O-W-O-U-T. After watching Philly through the first 5 games of the season, they look even worse than last year. They are only averaging 90 ppg and playing against a defense like the Bulls, I wouldn’t be surprised if they get held under 80 points tonight. 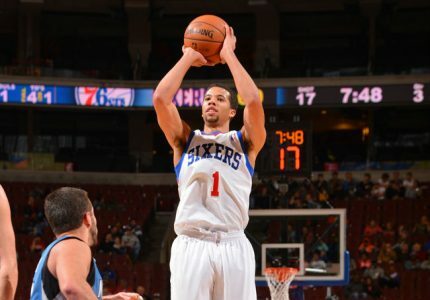 For the 76ers, their star point guard, Carter-Williams, is out. Nerlens Noel got injured the last games and he is listed as doubtful for tonight’s game. Noel was leading the team in rebounds and blocks and he will be missed in this game. Philly’s roaster is full of either rookies or rejects from other teams, and let’s face it, they are the laughing stock of the NBA. They can’t even shoot free throws (64%) and they still don’t like to play defense. Remember when the Bulls beat the Knicks by 24 points on opening night? That’s what this game will look like. The Bulls have gotten Jimmy Butler back now and he is a great addition to the team. Noah hasn’t played the last two games, but he is expected to play tonight. This is a deep Chicago team whose bench can outplay Philly’s starters. Gasol has filled in nicely as well as he is looking like a solid upgrade in the trade that sent Boozer to the Lakers. The Bulls are holding opponents to 40% shooting from the floor. Look for them to hold Philly under 40% tonight. I can go on for days with statistics in this game, but the bottom line is that Chicago will beat Philly tonight and beat them BAD. Look for the Bulls to turn up the heat and win this one by 20+ points.